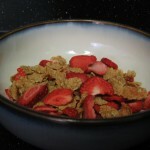 I’ve had a nagging curiosity about why you may choose one cereal or another for weight loss. 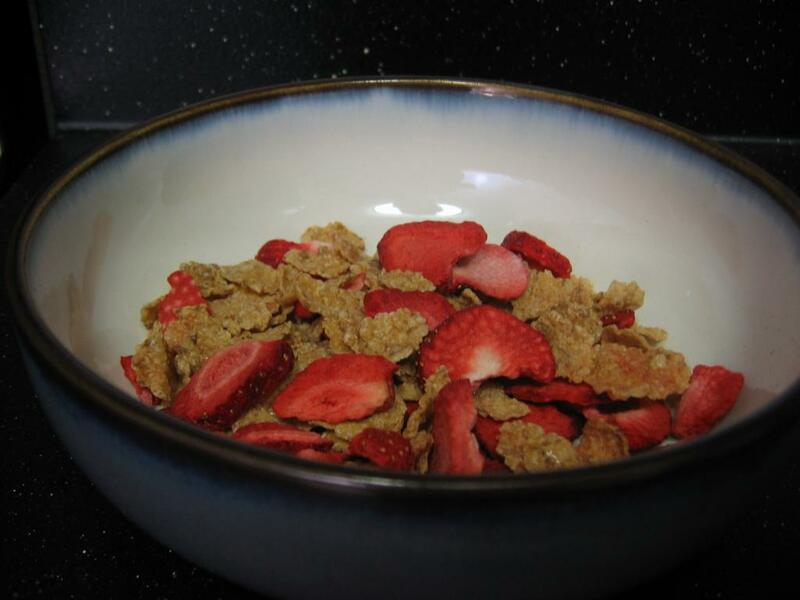 There is enough selection that you will enjoy multiple brands, so maybe you go to the Nutritional Information and realize it’s about 10-20 calorie range between each cereal. 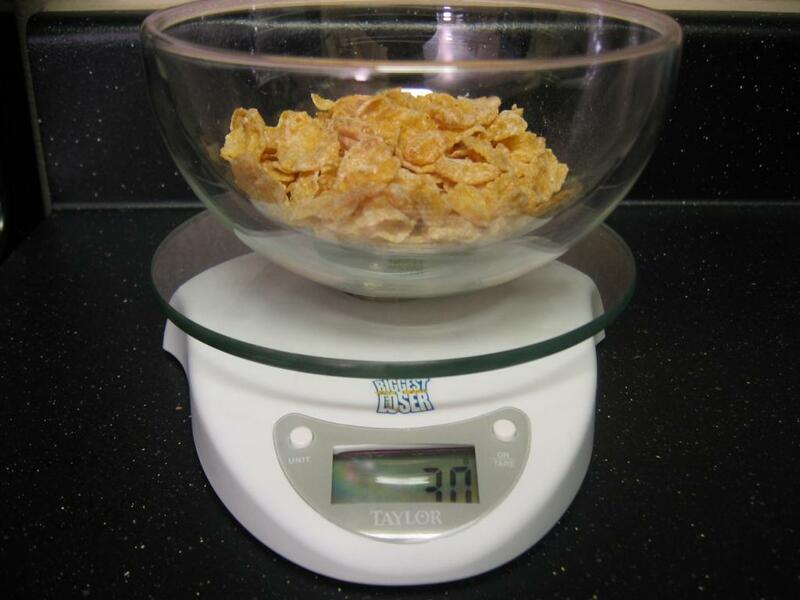 You also think that 3/4 of a cup portion size is about right for what you eat in the mornings. 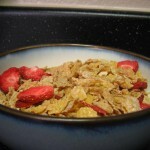 Well, all of that is not true, and instead of telling you why, I think pictures will speak volumes here. 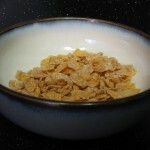 Notice that? 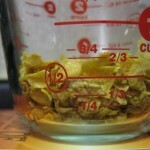 It gets better… here come the photos. 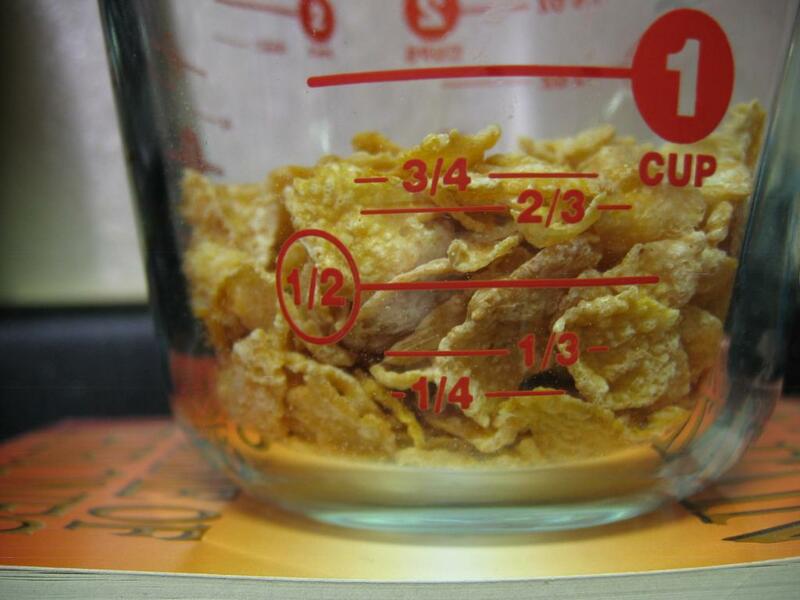 If you look at the last 2 photos you will realize that a full bowl of cereal is actually three servings! 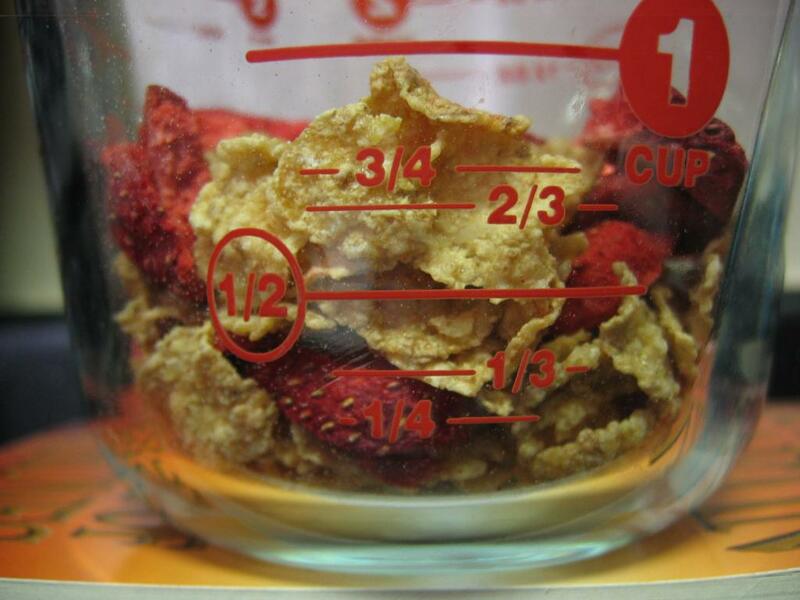 I always guessed it was 2, but I underestimated. 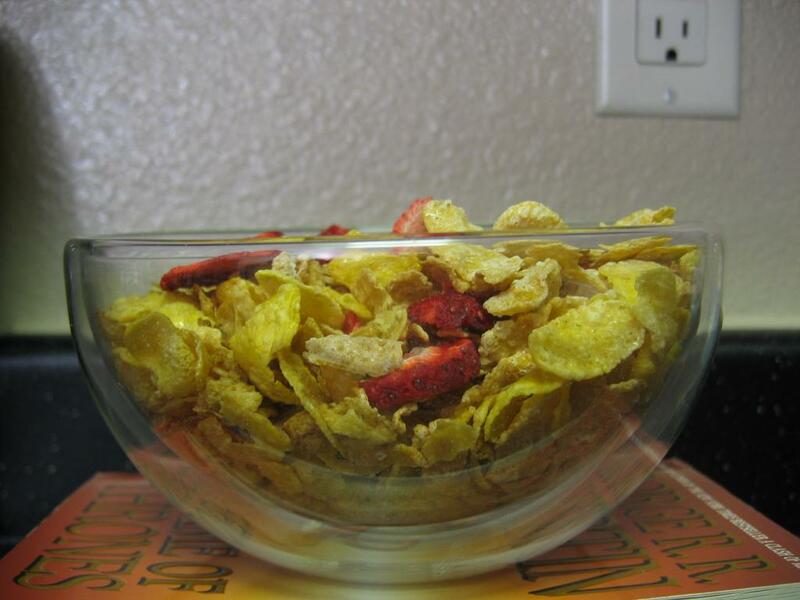 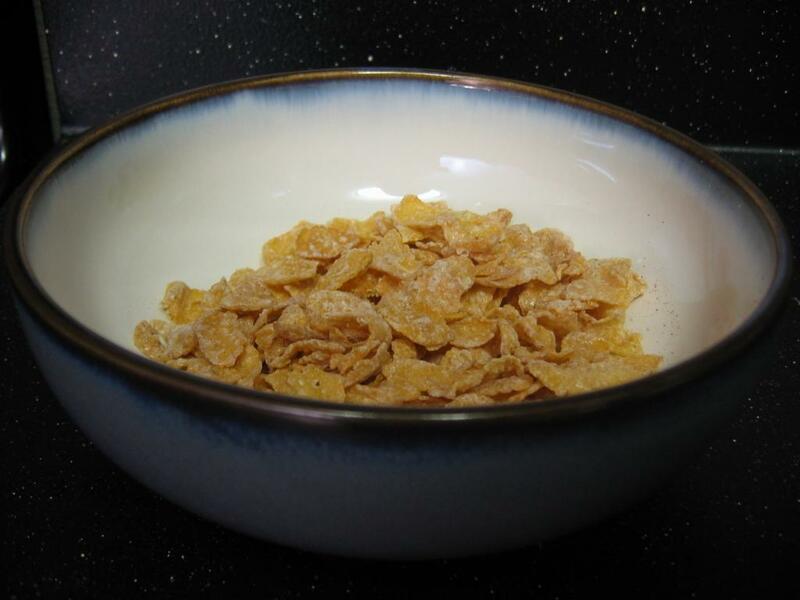 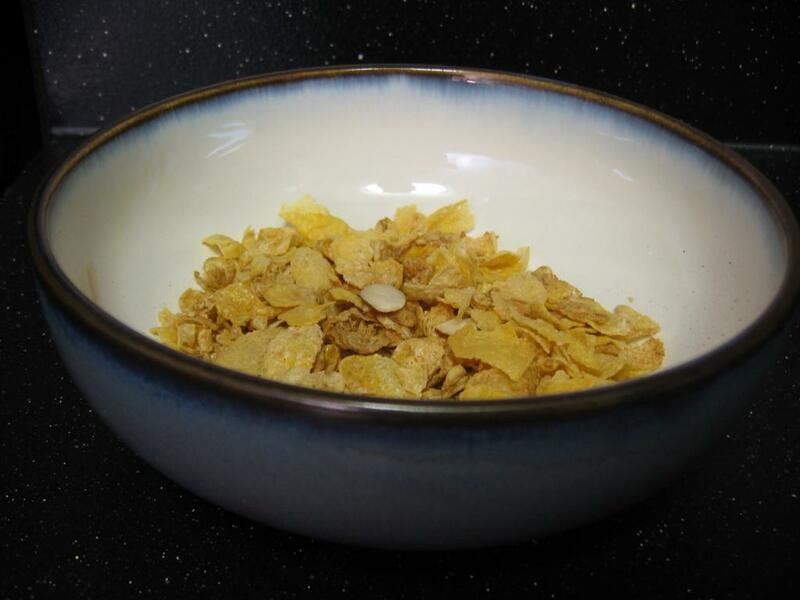 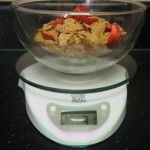 If you just ‘fill your bowl’, you will go a long way with Special K with Berries or Frosted Flakes, due to the large flakes and the fruit, the same weight product takes up more volume in the bowl, which means you will eat less calories, not even noticing. 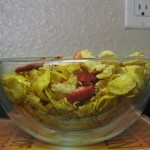 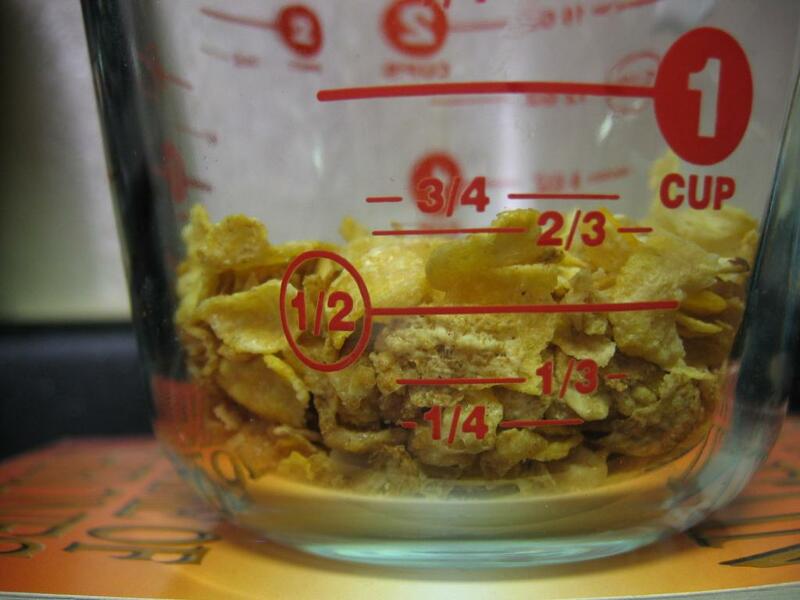 Secondly, if you use a smaller bowl, it will be almost overflowing, while a larger bowl looks almost full. 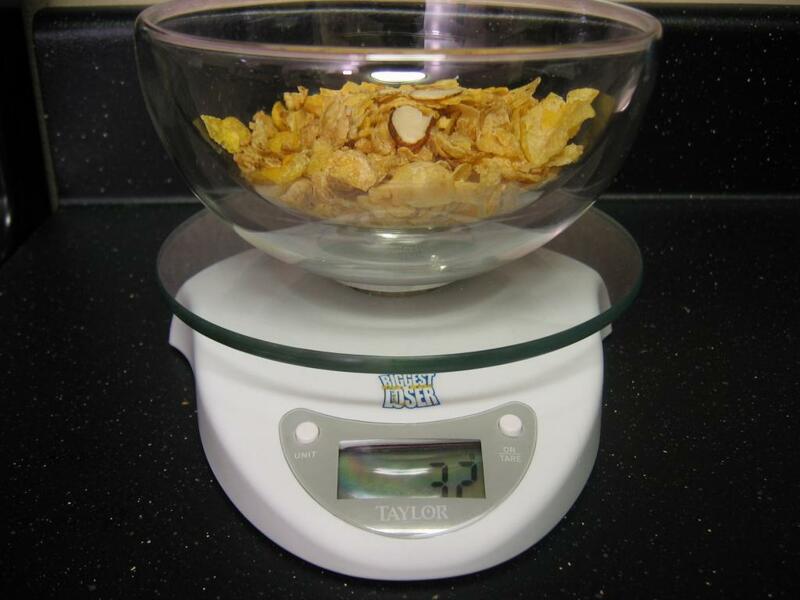 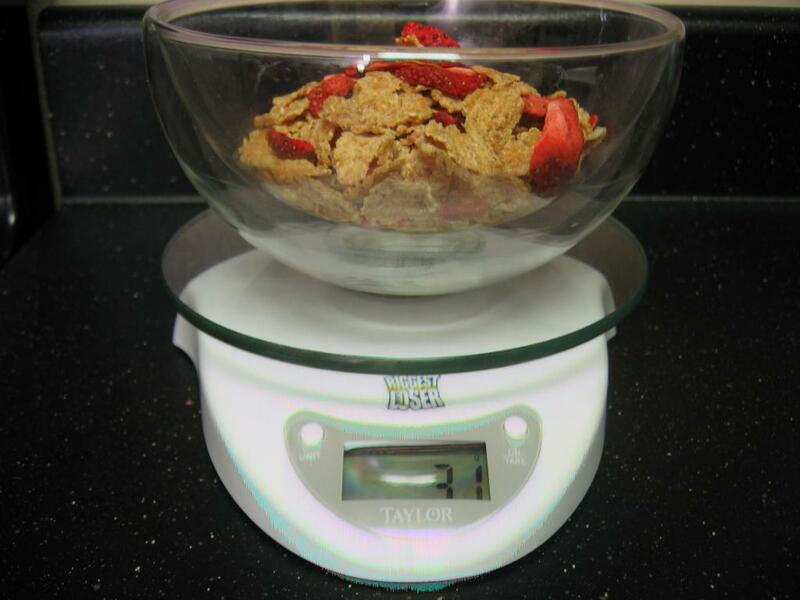 Shrink your bowl! 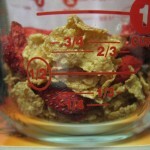 Finally, volume (3/4 of a cup) is not a good measure. 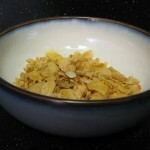 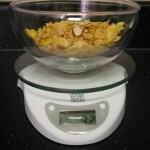 Honey Bunches of Oats with Almonds has smaller flakes and thus it compacts greater than the other two. 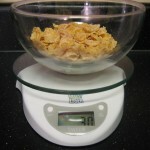 Being the highest in calories, this is a dangerous combination! 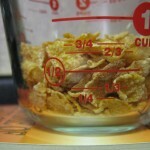 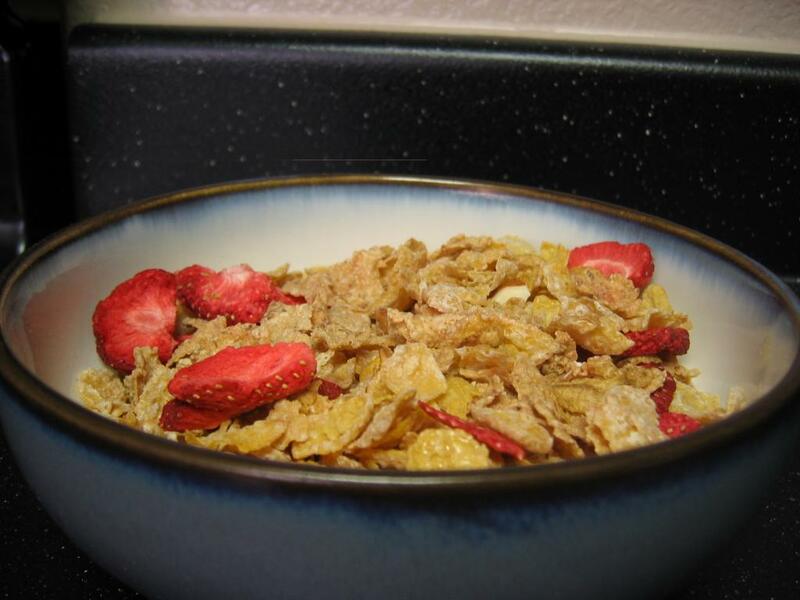 This entry was posted in Reviews and tagged calories, cereal, nutrition on August 22, 2011 by Mario Lurig.